palapala: nvt. Document of any kind, bill, deed, warrant, certificate, policy, letter, tract, writ, diploma, manuscript; writing of any kind, literature; printing on tapa or papern. ʻāina: n. Land, earth. palapala ʻāina: Map. Lit., land document. 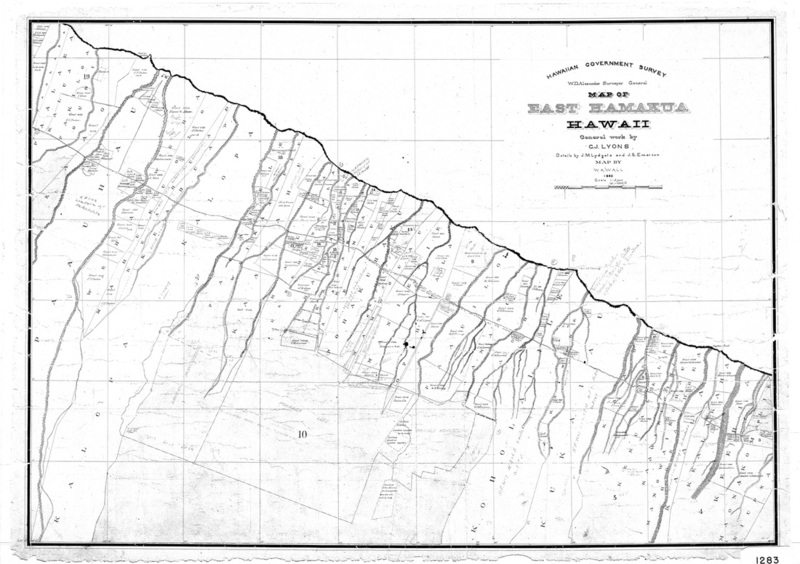 Map of East Hāmākua, Hawaiʻi. Surveyor C. J. Lyons, 1885. In January 1893, Mōʻīwahine Liliʻuokalani, the reigning monarch of the Kingdom of Hawaiʻi, was illegally overthrown by a small group of missionary descendants and American businessmen, supported by US Marines. Today, we can still access the vast repository of records kept by the Kingdom of Hawaiʻi at the Hawaiʻi State Archives in Honolulu. Here, we have made available just a few of these records, specific to Hāmākua. 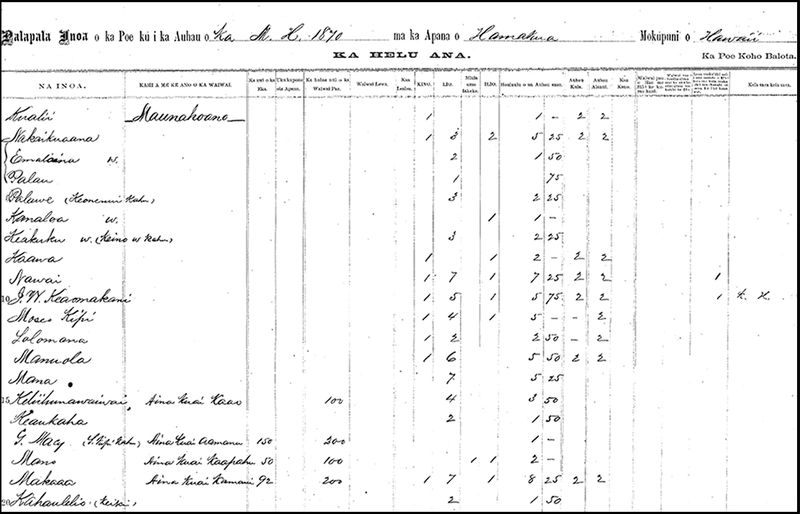 Hāmākua Tax Ledger, Maunahoano. 1870, pg. 45.